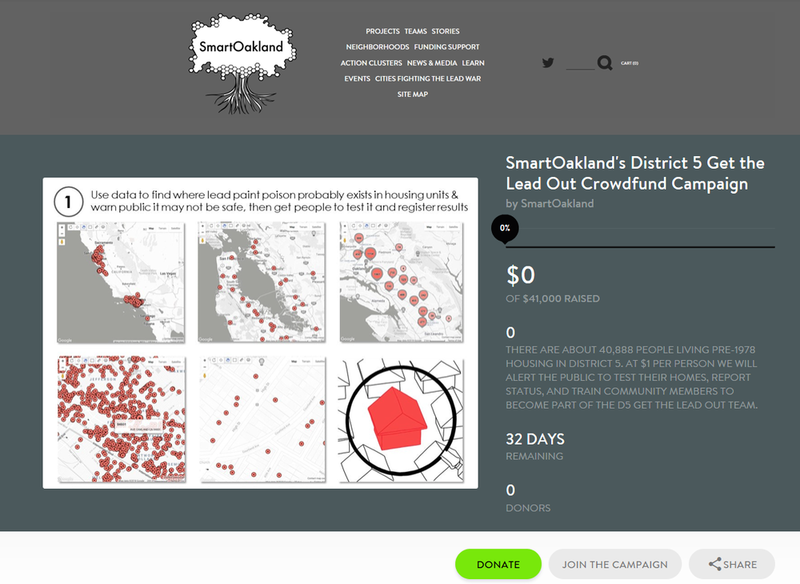 There are 420,000 people living in Oakland and District 5 has at least 16,355 pre-1978 housing units where at least 40,888 people are living inside homes with a high probably of containing lead paint. These people - occupants and owners - need to be made aware of the potential threat inside their housing so they can take care of it as soon as possible. We’re crowdfunding money to kick off a GTLO campaign to protect District 5 that includes outreach, predictive data to find lead, a Project Manager to run and report status, and stipends to pay community members to join and lead micro-community project teams.